Under the taxation laws governed by Canada Revenue agency, it is the legal responsibility of business owners to correctly calculate the corporate tax liability and to file the corporate income tax returns with CRA. We can understand the issues facing businesses in calculating their tax payables and filing the returns as it is a complex process. Sometimes business has to pay more than required because of less available knowledge and expertise. The errors and omissions may also lead to penalties and interests levied by CRA. All in one can take over all your corporate taxation matters and can provide you tax efficient solutions where you earn more and pay less. We will prepare and file your corporate income tax returns tax returns in a timely and efficient manner. We can help you to minimize your corporate tax exposure and relieve the administrative burden of compliance and dealing with corporate tax legislations. The efficient and effective corporate tax planning can bring major improvements in your bottom line as well. We are providing taxation services to all types of business ranging from sole proprietorship to large International and non-resident corporations operating in Canada. All our expert tax practitioners and advisers are well experienced and highly qualified with accountancy and taxation degrees. 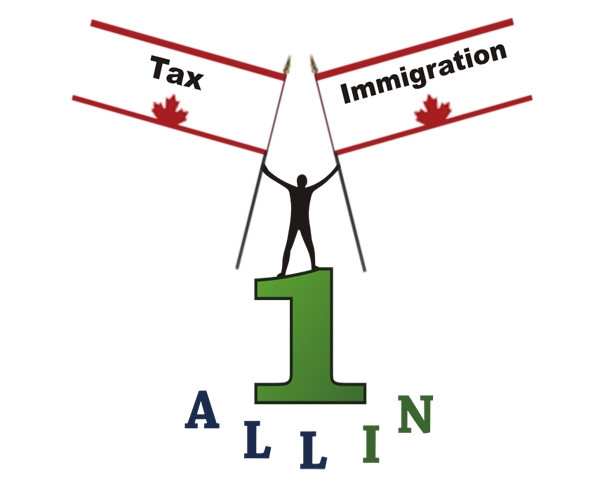 We guarantee you the accurate calculation of your taxes and proper filing of your returns with Canada Revenue Agency.